Deals for one day only! April 16th, 2019. SPECIAL OFFERS FOR L&B EXTRAS MEMBERS ONLY! 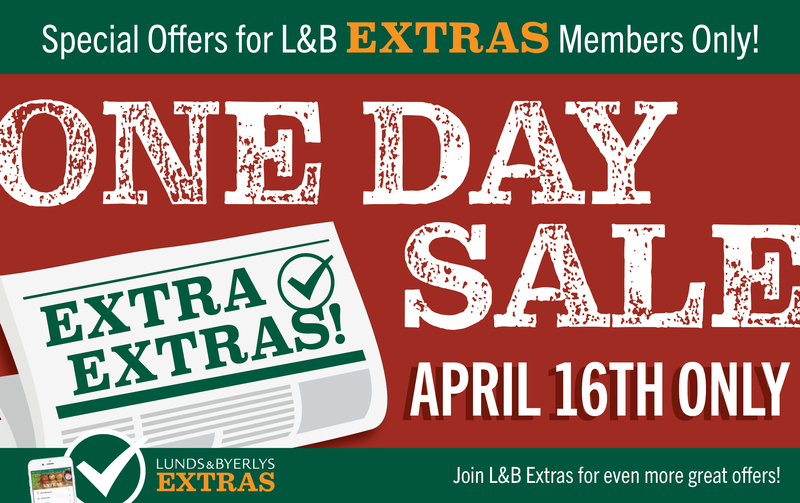 Join L&B Extras for even more great offers! CLICK HERE to learn more about Extras! 26-35 count per lb. | Limit 2 lbs.